How much of your farm should you stockpile for winter? 30%? 50%? All of it. The whole thing. Manage your grazing throughout the season so everything that is not being eaten is recovering then nibble through it all winter. 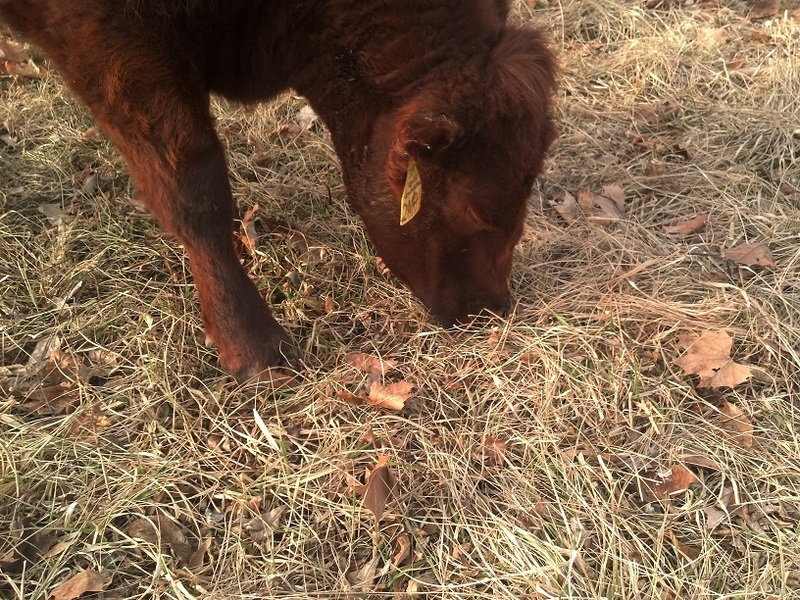 Sure, I set aside portions of my farm to remain ungrazed for extended periods of time but that’s not to save forage…well, we do save forage but that’s not the point. The point is to allow those grasses to come to full maturity. To provide habitat for wildlife. To put down deep roots. To spice things up biologically in the pasture. It is the eve of April and I’m just about out of grazing. Friday evening we walked the cows up out of the pasture and parked them in the barn for the weekend. I don’t like having my cows in the feedlot. They don’t seem to like it either. It creates a lot of work for us and I don’t feel like they get everything they need. 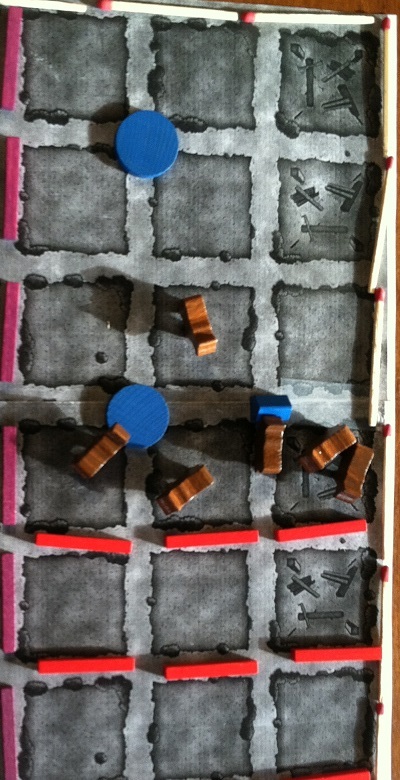 But it gave me a chance to run some Basic H through them to see what all the fuss is about. Sunday afternoon I built them a new grazing area east of the pond. I had to bring the mineral feeder, posts, reels and trough up from the bottom. 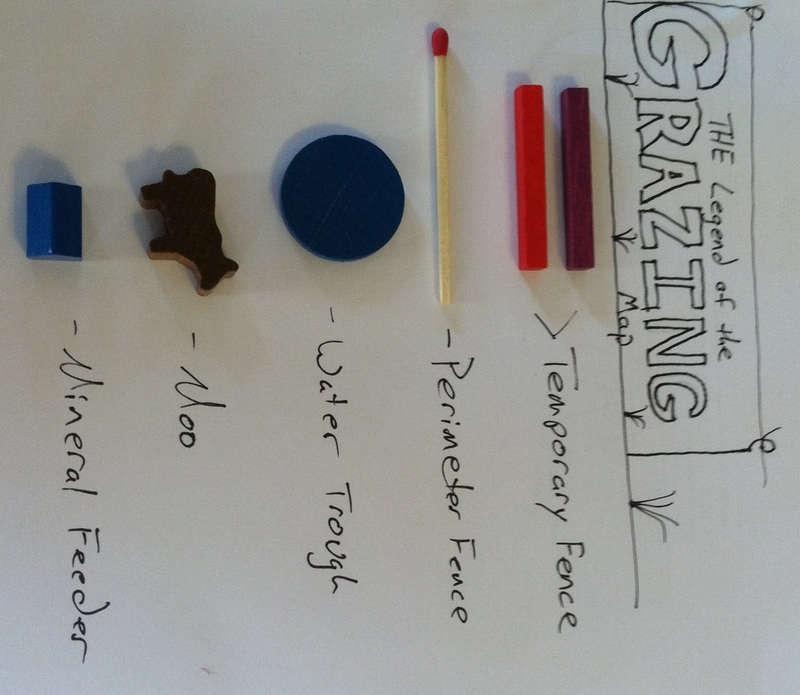 Everything you need for grazing in a handy little kit. 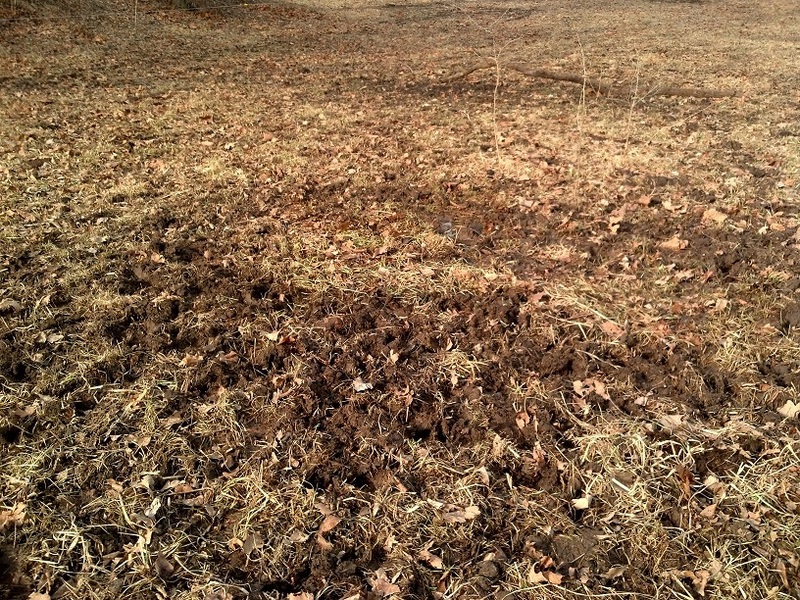 The east side of the pond hasn’t been grazed since ….spring of 2012? Gosh. I need more cows. It’s a mix of everything over there. The pine trees are dying from the pine borer. 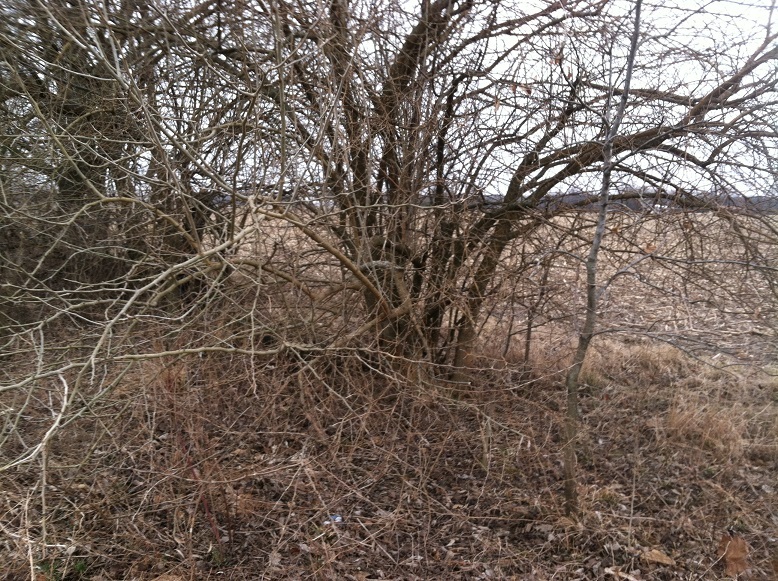 There is 6′ tall Johnsongrass still standing and who knows what else. Should be an adventure to graze over there. We’ll catch the edge of the alfalfa field as we go. I am a little concerned about that but our daily moves should keep things in shape. The mix of green and brown should keep the cow manure from getting too runny. A week here, an optional week at the far East side of the property and we’ll need to start racing through the pastures. It’s only 37 days until we are scheduled to begin calving and I think the dairy cows need to put on a little fat. Big spring pastures + fast moves = fat cows. Walt Davis said to make sure the cows had at least 30 days of green grass before calving to get them in shape. I’m close. I’ll have to time things a little differently next year. 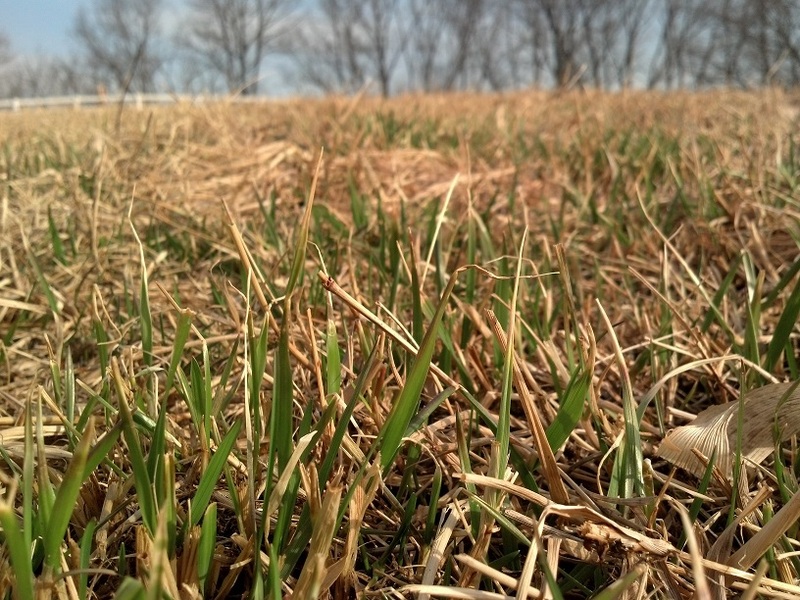 The grass should really start to grow this week. I’m counting on it. Be a net producer. Leave more than you take. That’s really all I have to say today but I guess I should spell it out a little. I have several options available. I could just sell everything on the farm. In some circumstances it could make sense to do that. I could sell all of the iron both from the iron piles and from the buildings themselves. I could sell the equipment I own. I could sell the livestock, the cattle mineral feeder, the fencing, the fence chargers, the hog waterer, the hog feeder, the pasture feeder for the chickens. I could tear down both houses and claim the salvage value of certain components of each. I could sell the trees either as lumber or as firewood. 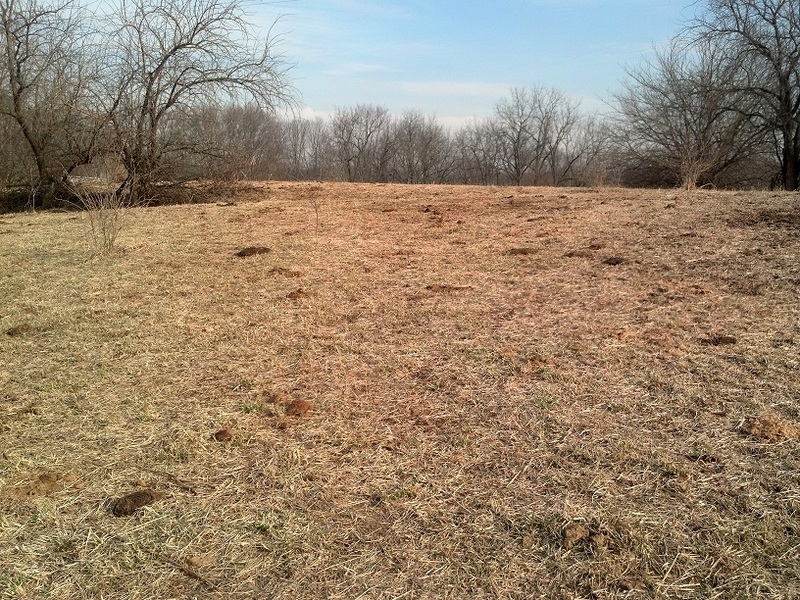 I could sell hay until my soil is depleted then scrape up the remaining topsoil and sell that to a housing developer. Then sell the remains of the farm to the next guy. What would be left over? Hopefully I would have covered my debt on the farm and put a little in my pockets. But then what? I have just sold my productive resources bit by bit. What would I do with my money? 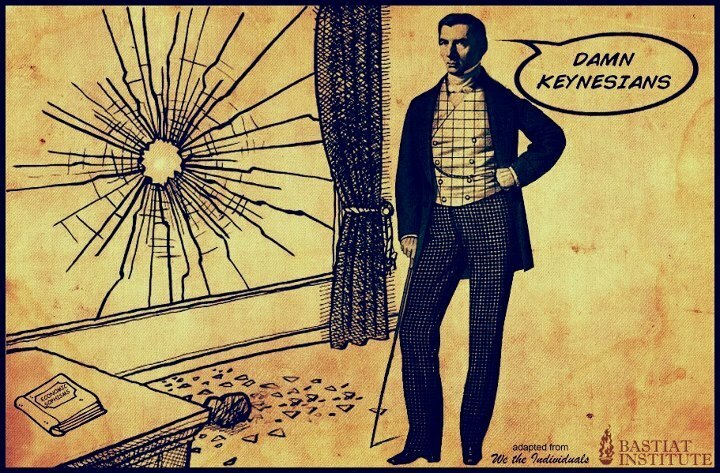 Go buy another productive resource to liquidate? Like a hunter stalking and consuming prey, one at a time? How about this instead? 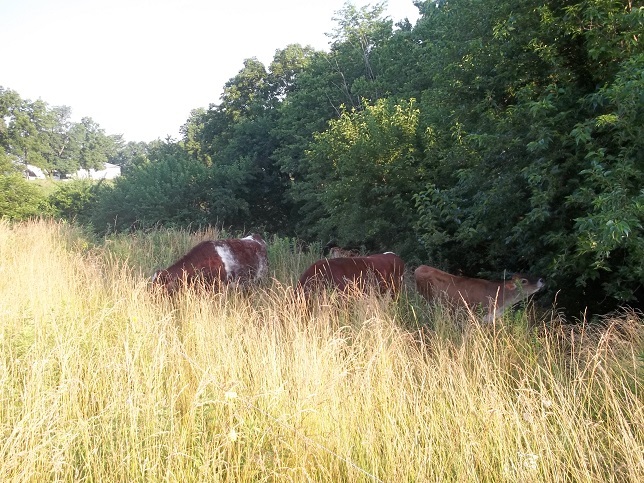 What if I increased my cattle herd in an effort to increase forage mass and diversity? What if I planted more trees but harvested trees that are mature, sick, showing poor conformity or are just in the wrong place? 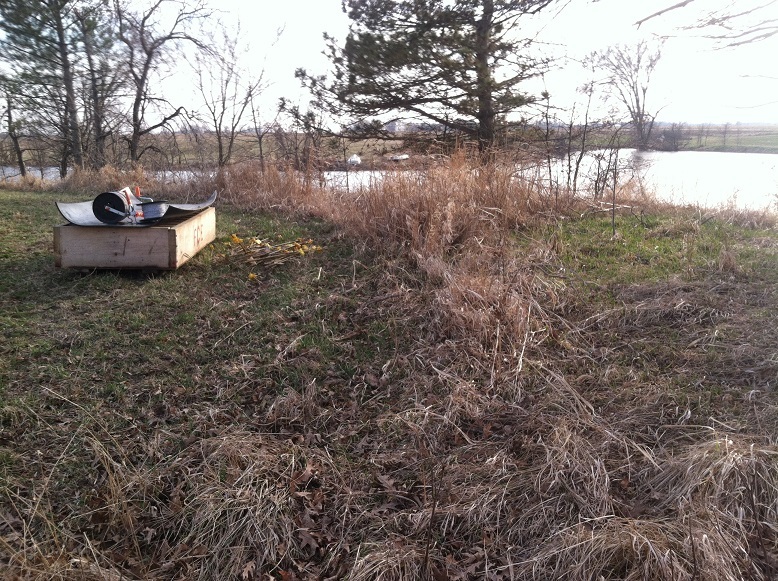 What if I built brush piles to house wildlife? What if I focused, over time, on building new topsoil? Money is nice. It really, really helps. Really. But money is just a tool. Products are purchased with production. The money is the common exchangable item between producers. For example, I don’t eat money, I eat apples…which cost money. But I am not the US Treasury so I can’t just go create my own money. Unlike the Fed, I have to do something to get money. I have to sell something I have in surplus. In my case, time. I use a portion of my time to produce healthy databases for a company. The company produces software to record information from heart monitors. Those heart monitors work to save people’s lives. So hospitals or patients give the company money in exchange for the service. And I get money from the company in exchange for my service (because I really don’t need a heart monitor). And I use the money to buy apples…and other things. I wanted apples so I helped make a heart monitor. The world is a better place because it has heart monitors it didn’t have before, along with other innumerable but often unseen benefits (I encourage you to read Bastiat to explore this idea further). But heck with my city job example. I have acres and acres of grass. Grass is worthless. It grows anywhere there is rain and sunshine. Nobody wants it…or if they do, they want it to be 2″ tall with tees and greens spaced throughout. My grass grows several feet tall and it is the “wrong” kind of grass. It is essentially worthless so we have cows. We use the cows to add value to the grass. I am taking something of little to no value, adding my time to it (also of little value) and making beef. This is not a zero sum equation. It’s net production. I’m using my management ability to capture free sunlight and rain, growing grass, converting that captured solar energy into beef and using the beef by-products (footprints, saliva, manure and urine) to make the grass stand even more healthy. All while making the cows happy. It’s a win all the way around…capturing sunlight, holding and absorbing rainfall, sequestering carbon, keeping the cows fat and happy, feeding people and bringing home the bacon. I am hauling some portion of nutrients off of the farm with each egg, pig or calf that we sell. No doubt. But I more than compensate for that by the addition of organic material happening with each grazing and rest cycle and through the nutrients mined, captured, transported and released by trees and deep-rooted forages. Our farm will continue getting better as my management skills increase. As our herd numbers increase. As time passes. The end product of my labor will be left to the next generation. They will have the option of continuing to producing organic material from captured sunlight and rain. They could continue improving our farm through their productive efforts. Or they could sell it all and go to Vegas. It’s up to them. 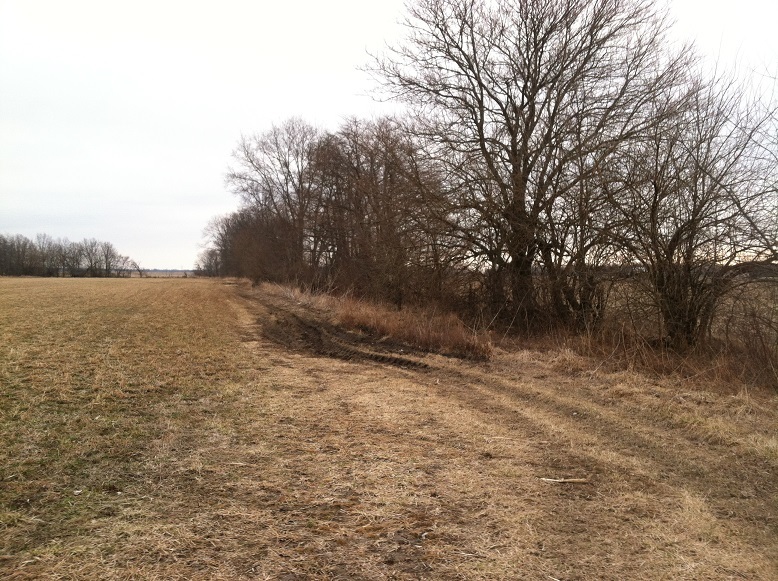 Until recently I haven’t spent much time on the Eastern portion of my property. A distant cousin rented it and that was that. Well, in 5 days his cows will exit the property so my son and I took a walk, mainly to inventory the mature honey locust trees and check the condition of the fences. Some portions of the farm are pretty remote. 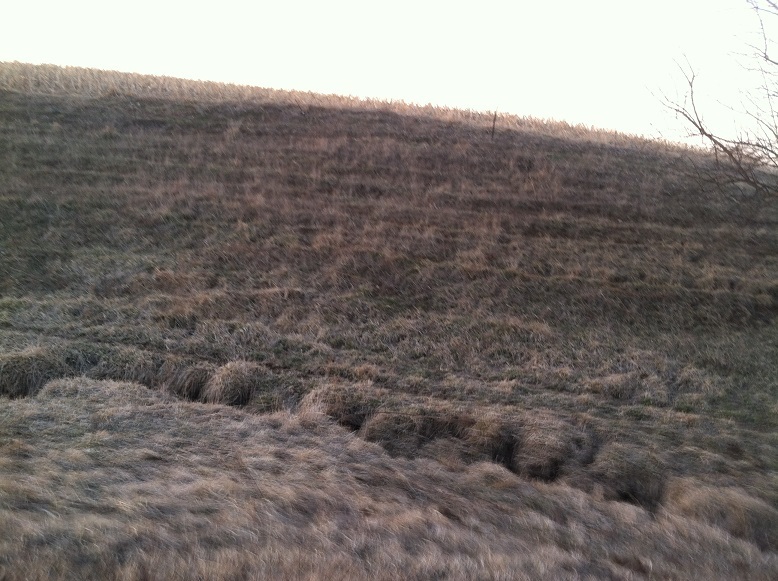 Steep creek banks prevent access with a tractor. If something dies out there, there really is no way to retrieve it. Obviously this is unfortunate but it’s reality. The coyotes ate well for a few days. Apart from the smell, the kids were fascinated. The lack of intensity on our farm over a number of decades has caused those steep creek banks as well as encouraging the thorny pioneer tree species. 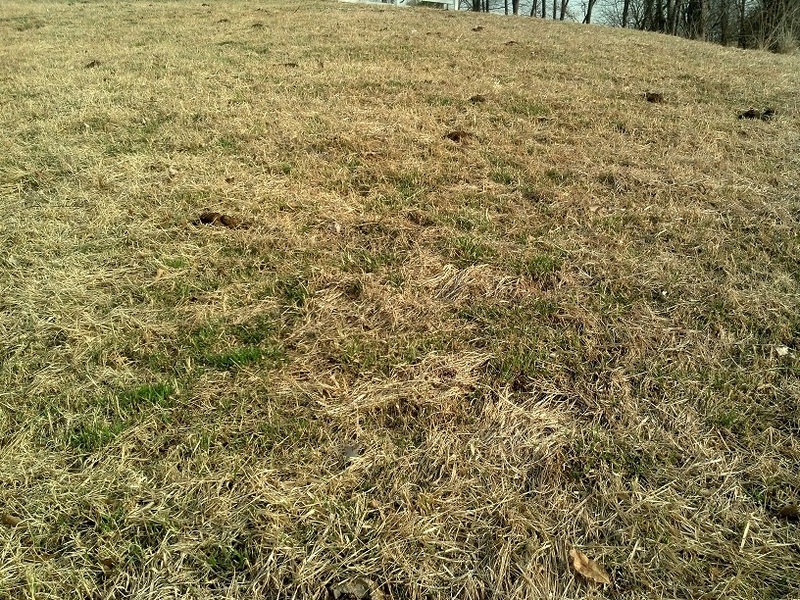 Further up hill we are seeing damage in the pastures. I can repair this quickly with hooves and rest. Hopefully fixing this will help heal the land further down hill…closing up the wound like closing a zipper. I would have to cross two washes like this to get back to a 9 acre corn field…which means we can’t get there. But we would like to get there to at least shred the corn stubble but it would be nice if we could run a drill across that field to plant it to pasture. I may just have to do it with cows, broadcast seed and hay. That’s probably the right way to go but the mechanical solution sounds cooler. That corn field is surrounded by electric fence, mostly on contour. That fence is on my list of fences that will be removed. More on infrastructure another time. All in all the pastures and field to the east don’t look too bad. The North-facing slopes are a patchwork of weeds, sparse grass and moss. The moss has to go but hooves, chicken claws and manure will take care of that. The chicken tractors are out there now. The creek is pretty badly eroded further down. I don’t have a picture to share as it was getting too dark but it isn’t pretty. Just know I can’t climb down, I have to fall and I can stand in the bottom and can’t see out. And I’m not short. I have a lot of work to do with my chainsaw but the cows should do the majority of the real work. I just need more cows. And more time. A bulldozer would be nice too. Sigh. Last spring we bought 6 heifers off of a feedlot. When they arrived they had been on hot feed…a high protein, high energy ration plus a little hay. This was evidenced by the whole kernel corn that passed straight through them and stuck to their manure-covered tails. But they were short, their mothers grazed-ish on fescue-ish (with a little corn) and I gave them a shot. I mean, heck. Nobody around me does grass-only beef so what difference does it make? I bought local. I rolled the dice. They were good heifers in every respect, just not raised on grass. Fast forward 10 months. Turns out half of my heifers didn’t breed. Half. Here she is again. Always on high alert. She needs to go. Beyond that, she has a hollow leg. When everybody else is laying down with eyes closed chewing cud she’s still up eating. Always eating. She’s just too big for grazing. There is the tall, tall, tall 27. Her attitude is good and you could park a truck on her wide back but she just kept growing after she came home. Up, up and away. Cows need fat to cycle. She and 19 were too busy growing up and couldn’t grow out so they didn’t cycle. Further, neither of them shed completely out last summer…and they were hot. They may simply have been off duty when the bull was on duty. Or, if they did cycle, maybe they didn’t stand. Whatever. Both are just over 2 years old now. I could understanding giving 27 another chance with the scarcity of heifers right now. We’ll see. Then there is 70. I don’t know what 70’s deal is. She is short and looks thin but not bad…but no dice. Maybe she didn’t like the heat of August. But there really are no second chances. I don’t need lawn mowers. I need reproductive lawn mowers. And I’m not sure I have ever noticed her calling or riding or anything. Maybe she is sterile. Dunno. Will she get a second chance? Heifers are in short supply now. I’m dithering. These really should all be fattened on spring grasses and shipped before the bull arrives again in July. I am sure we can find customers for these cows (could be you!) and turn a modest profit for our effort but that wasn’t the goal. We need calves! Fertility is the real key. I want cows that fatten quickly, sure. 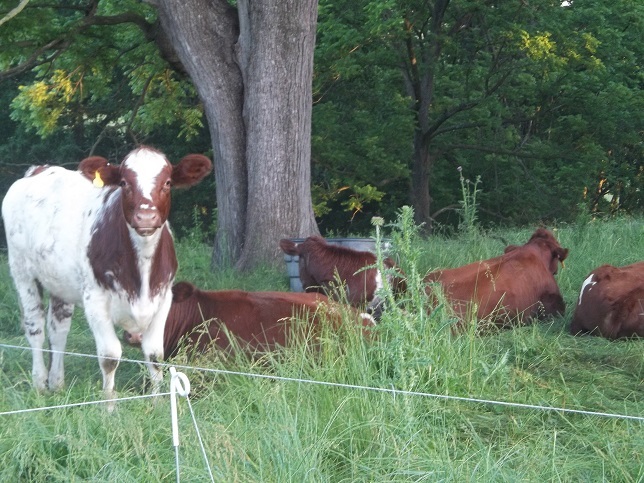 I want cows with a positive attitude. Sure. 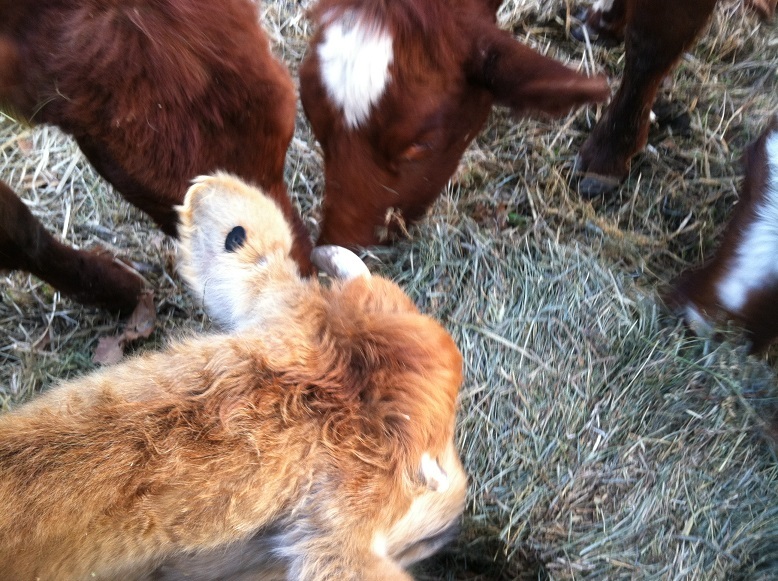 I want cows that bring a live calf to weaning. Sure. But before we can concern ourselves with any of that, they have to at least breed successfully! So we select for cattle that achieve fertility at an early age and breed back every year. These three cows don’t fit the bill. But I can’t neglect that I need cows that can succeed with our native forages. Cows that succeed without supplementation…beef without the petroleum. 111 and 41 are enormous tanks and 76 isn’t bad at all. I need an army of their offspring. If they don’t get fat they won’t breed. They need to fatten quickly after calving or they won’t breed back again. Some of that is on me. Some of that is the genetic potential of the animal. There is nothing I can do about genetic potential except to select for it over time. It stinks that I have to cull half of my herd this year but by biting the bullet now I avoid this pain in the future. Maybe the cows aren’t to blame. Maybe it’s me. I’ll get better cows and I’ll get better at managing cows. It will just take time. I bought two more newly weaned heifers at the end of summer last year. We’ll see what happens with them but I suspect it will be the same percentage. 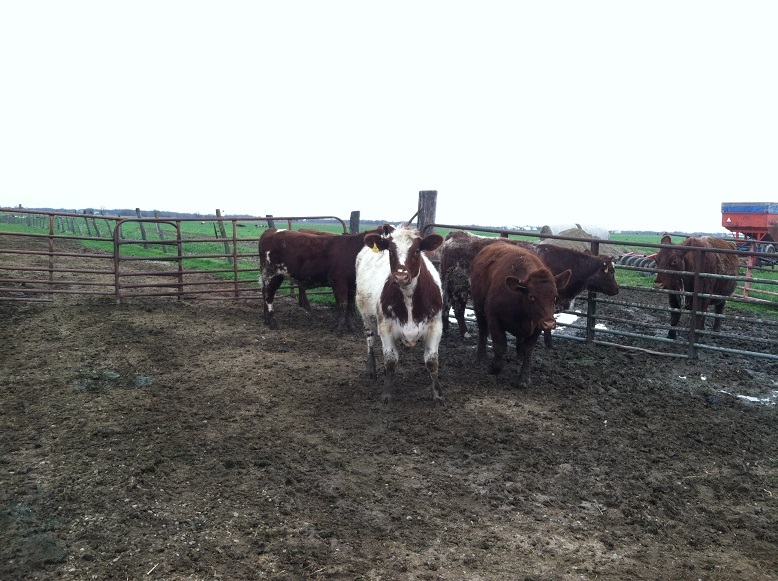 I’m going to have to get better…but selecting foundational stock now ensures that my cows are all easy keepers. 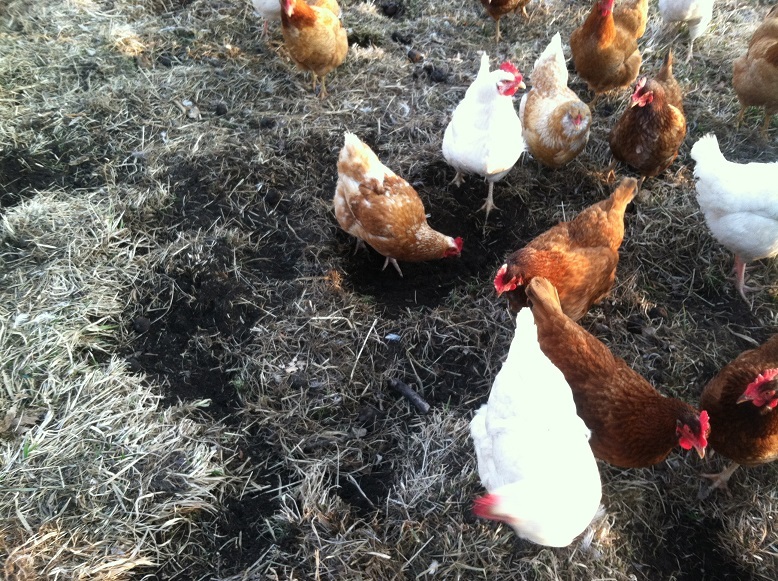 A reader asked for a walkthrough of a day on the farm. So I tried to keep track. This is fairly typical of a weekend. The livestock don’t take much time. On weekdays Julie has a schedule for housework, home school, business building and writing. On weekends we tackle bigger jobs. Today was an odd day. We were up late Friday night as Julie wanted to go on a date. I don’t know why she wants to date again. We have been happily married for 17 years. Maybe there is something wrong. Something I can fix. Something I can do. She says it’s not that simple. Oh well. A night off work. Today Julie’s phone woke us up at 4:30 alerting us that we were a mere 30 minutes away from the official start time of the day. What a stupid thing for a phone to do. I adjusted the phone’s attitude and slept for another hour to spite it. At 5:30 I decide I can no longer excuse laying in bed all day so I pop up, brush my teeth and begin planning my day. The sun won’t come up for another hour at least and there is a pile of laundry and a small pile of dishes that need my attention. 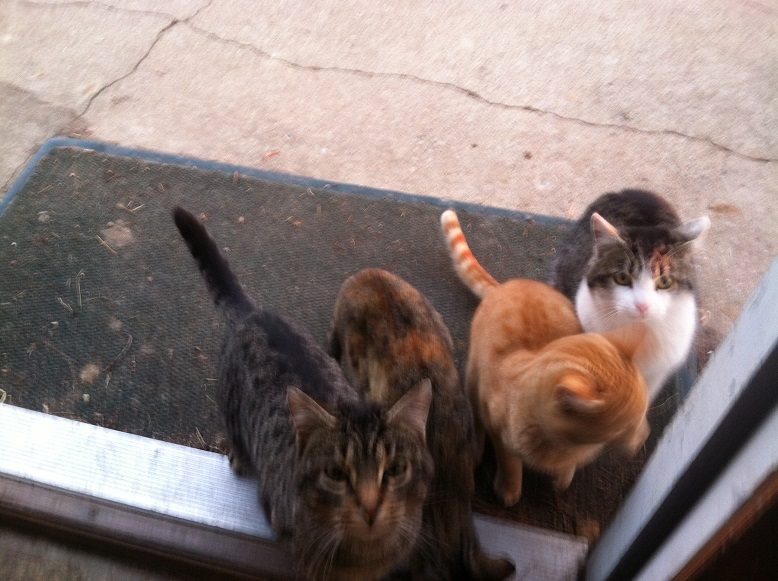 I responded to a few comments on the blog then got out the door…which is always guarded by cats. On work days I can check the pigs, feed the cows, check and water the chickens and open the nest boxes then walk to the yellow house to check and feed the broilers and return home in 15 minutes. On Saturdays I tend to stand around and enjoy the scenery a little more. It took me 45 minutes today. I dropped the bale and stood in place surrounded by cows. That’s kind of fun but it also gives me a good chance to look them over. Good thing too. Remember that date? I get home between 6 and 6:30. By that time we only just have time to drive 30 or 40 minutes to the nearest restaurant for dinner out and still get home at a decent hour. So Julie planned out the day’s pasture and elected not to bring the cows a bale of hay. The day’s pasture is not an issue of square feet. 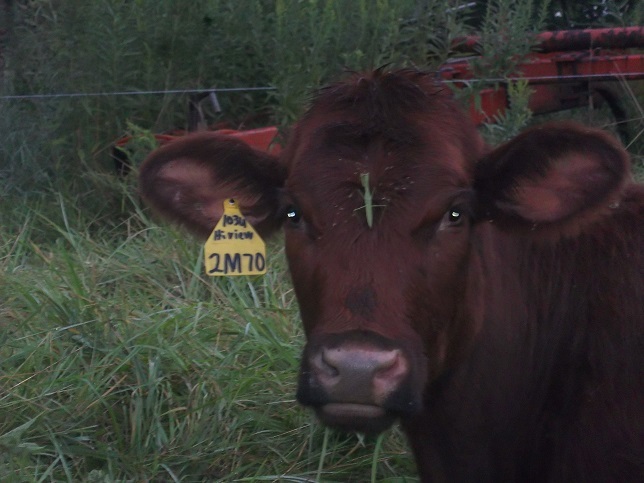 It is an eyeballing of available forage in a given space. She didn’t give them enough to eat as evidenced by Mrs. White. I had a chicken out of the fence and spent 5 minutes stalking her then clipped her wing. Otherwise the birds were doing their thing. Feed? Check. Water? Check. Nest boxes open? Check. Then I sharpened a couple of chain saw chains, loaded up my equipment, hooked the trailer to the truck, straightened things up a little bit in the shop and headed in for breakfast at 8:00 on the dot. One slice of bacon, two eggs and half a cup of coffee later and I’m killing time waiting on her to go to the broilers with me. 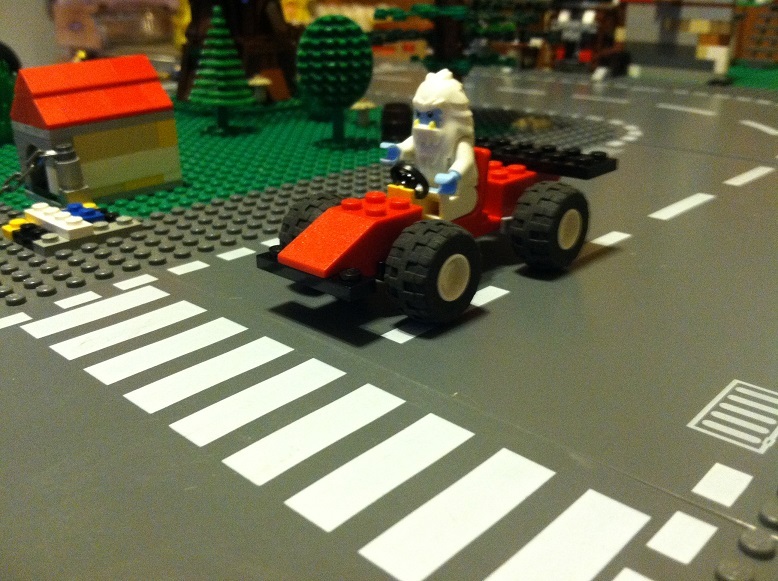 So I decide to build a race car for a Yeti. …and I kissed Julie goodbye. She was going to town to pick up the kids at her mom’s. She didn’t return until 11:00. In the meantime I dropped the trailer off at the brooder so we can haul bedding to the garden later and drove to the day’s main project, cleaning a fence row. The fence has been mostly smashed and buried by falling limbs and time but I need to at least find it. 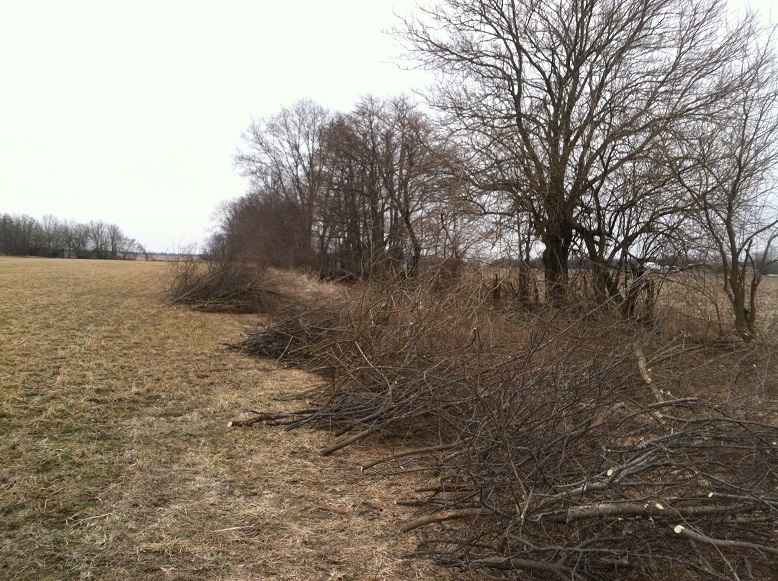 Further, I want to drop the lower tree limbs where I can, stop the trees from reaching into my field and cut out saplings that are inching into my field year by year. Again, I’m all in favor of trees, just not where I have fences. But I really can’t manage the neighbor’s side of the fence…only so much I can do. Finally, there is only so much I’m willing to do today. This is a first effort. Let’s establish a beach head. Lower limbs, nuisance species and encroaching saplings. Next year we’ll do a little more. Maybe. There were really only three tree species in the stand: hedge, elm and hackberry. I’m happy to burn all three but I hate cutting hedge. It is the hottest-burning of our hardwoods but what a pain. Literally. Hedge is covered in thorns. The thorns on the branches cause it to stick together like velcro. When it comes loose the limbs go on the attack. There appears to be something in or on the thorns that causes additional soreness for the next few days…especially joint pain. But there’s nothing else to do. You just have to sort of carve your way into the tree then start pulling it apart. Great fire wood though. And it’s good for bow making. And it’s a cut and come again tree so if I coppice it down to a stool I’ll have a new group of thorny sprouts the next year. That must have happened to this tree some years ago. 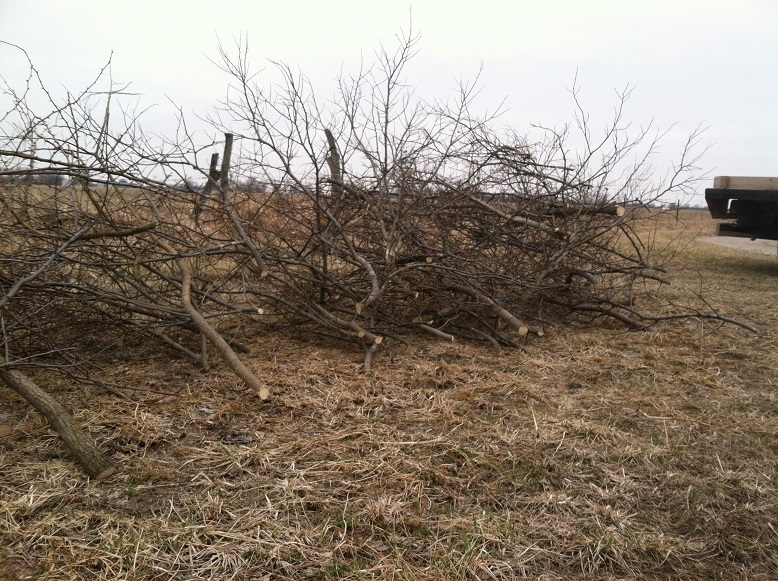 As I cut my way through I lay firewood-sized limbs aside for later and stack the rest for chipping. It is important to lay all the butts facing the same direction to make it easier on chipper day. 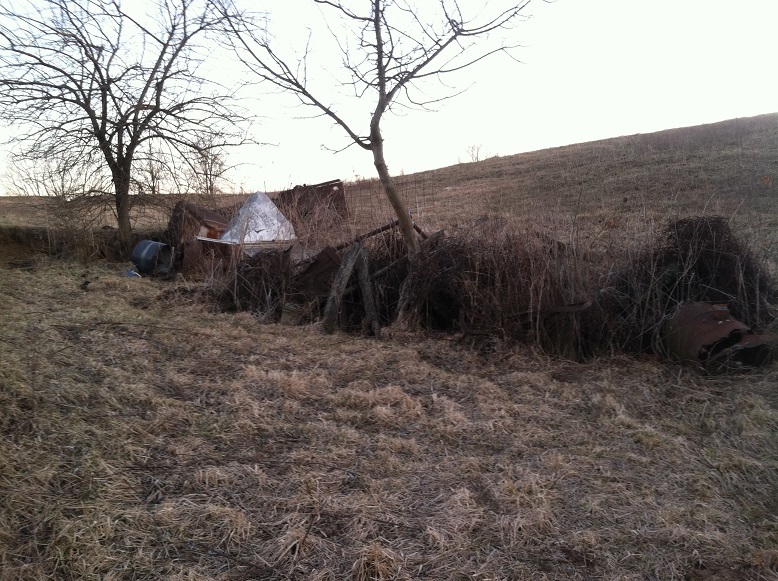 I’ll just set up in front of the brush piles and tie into it. I should point out I rent a 6″ chipper but it can not chew through hedge larger than 1″. Hedge is tough stuff. When I say hedge you should read Osage Orange. Beyond the trees there were a number of unwanted and unpleasant things growing in there. Bush honeysuckle is an invasive monster that’s hard to get rid of but poison ivy is the worst. Especially when it grows in a shrub form. Every time I cut one sawdust flies up into my face. Poison. Ivy. Sawdust. So Julie and the kids showed up to help after 11. Julie stopped to gather eggs and check water. The oldest boy fed and checked the broilers. Then everybody helped move limbs into a neat row. We are maybe a fourth of the way down the row after three hours of work. That may be too generous. It’s obviously faster with 6 of us on the job. Well 4 of us. The youngest two mostly sat in the truck out of the cold wind. 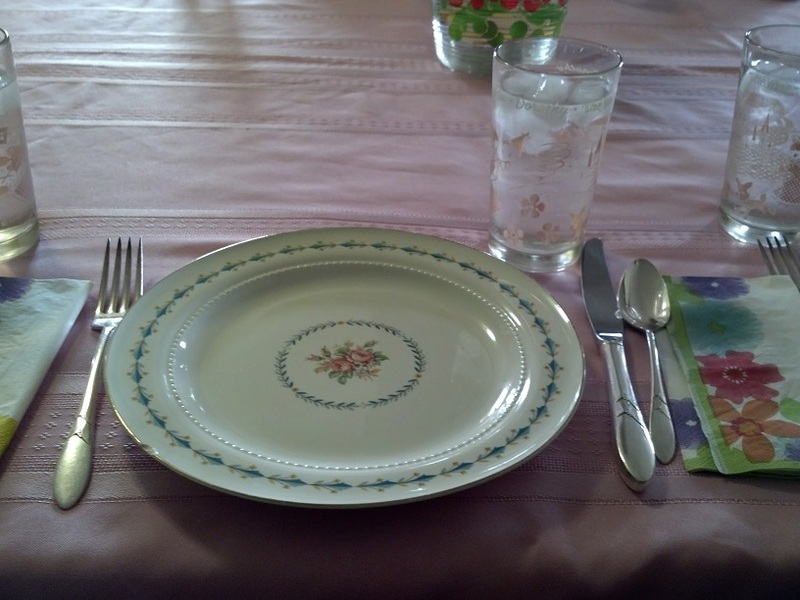 We had lunch at Aunt Marian’s house. Every year for St. Patrick’s day she serves corned beef and cabbage. For some reason we are celebrating late. Delicious anyway. I asked her about the things in her house…who they came from. I was sitting in a chair that uncle French bought 120 years ago and eating from plates that belonged to my great-grandmother and the glasses were jelly jars that uncle Pete gave her.. I think that’s pretty cool. After lunch the oldest boy and I worked on pruning Aunt Marian’s fruit trees. Aunt Marian and I have radically differing philosophies on pruning trees. In short, she is in her 90’s. She sells her heifers and buys cows because she needs calves now, not later. Similarly, she wants me to prune for apples this season, heck with next season. Same conversations every year. I remove suckers, shoots and dead limbs. Then I start carving out interfering branches and limbs and work to open up the tree. She corrects me saying she has never removed shoots and just wants the dead and interfering branches out. But she defines interfering as just the limbs that have actually grown together. I don’t wish to disobey her. I just want to do a good job. No pictures of the fruit trees. When I removed my poison ivy-covered clothes at lunch I left my phone on the dresser and Julie was inside. Home again around 3:30 and it’s time for some chores. 6 more layers are out of the fence so I ask the boys to grab the scissors. Then it’s off to build cow pasture, feed a bale of grass hay, do a final egg collection. The oldest boy feeds and waters one last time, we all change and it’s off to church at 4:30. 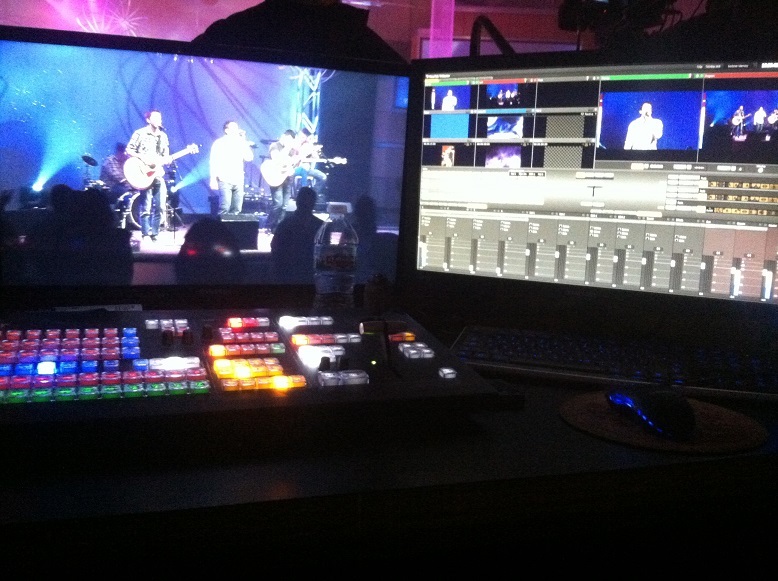 At church I run the video production system. Julie and our oldest run cameras. Pretty cool stuff. Then a little grocery shopping, head home and chill while watching an episode of Tudor Monastery Farm then it’s off to bed. That’s pretty much how a Saturday works around here. Normal livestock chores take a few minutes here and there and we try to make progress on some major projects inside or outside. We try to find a few minutes to goof off and look for opportunities to serve. Sundays work at a different pace with a different set of specific tasks and traditions. We clean the horse stalls and clean our toilet buckets. We also have our weekly family meeting and watch star trek. Weekdays we just try to keep up…and apparently go on dates. Who knew? More Land than I Deserve? I am continuing to read and reflect on The Farming Ladder. SO. Yeah. I have a several places that are covered with rotting refrigerators and discarded equipment. Apparently, in George Henderson’s estimation, I have more land than I deserve. Way to put the spurs to me, George. This is the last in a series of thoughts I had concerning our farm’s history and future as I read a paper released by the Kansas City Fed. You can read part 1 here and part 2 here. Higher interest rates could have two distinct impacts on U.S. agriculture (Henderson and Briggeman). Rising interest rates may place upward pressure on the dollar, which could indirectly trim U.S. agricultural exports, farm profits, and farmland prices. In addition, higher interest rates also boost the capitalization rate, which weighs further on farmland prices. The impacts are compounded in highly leveraged environments when higher interest rates raise debt service burdens, as the 1920s and 1980s demonstrated. However, they believe farmers are borrowing more responsibly now than they did in the ’70’s. Unlike the 1970s, farmers today have been more restrained in their capital investments. To be sure, capital expenditures have risen sharply, but they have increased at roughly the same rate as farm profits. But that level of profitability may have something to do with the fact that land rents aren’t keeping pace, not to mention all-time high prices for crops. When rents catch up or prices fall…who knows. For more than a century, farm prosperity has shifted with U.S. agricultural exports. Surging exports spurred rising farm incomes, while plummeting export activity weighed heavily on farm incomes. In addition, leverage shaped fluctuations in agricultural land values. Low interest rates contributed to booming farmland prices and the accumulation of debt as farmers expanded investments in land, machinery, and equipment. Rising leverage, however, contributed to the farm busts of the 1920s and 1980s as farmers were unable to service their mounting debt. In short, if exports remain strong and leverage remains low, this cycle could be different. The current great super cycle is a triple whammy, impacting oil, metals and agriculture. It has now lasted for a decade, which is 2.5 times longer than any previous super cycle. Technology, innovation, large farms and agricultural audiences are the matters of the day. Land values have skyrocketed, particularly since 2007 and 2008, and while 260 million Americans in suburban and urban households have seen a decline of their income from $54,000 to $47,000, 60 million people in rural America have experienced profits and wealth accumulation. And to counter the Fed’s notion that farmers have learned from the lessons of the 1970’s I offer this counterpoint from Deltafarmpress.com. Though the author thinks farmers will be bailed out by the government, hard times are going to come…sooner or later and he dares to include a timeline (emphasis mine). 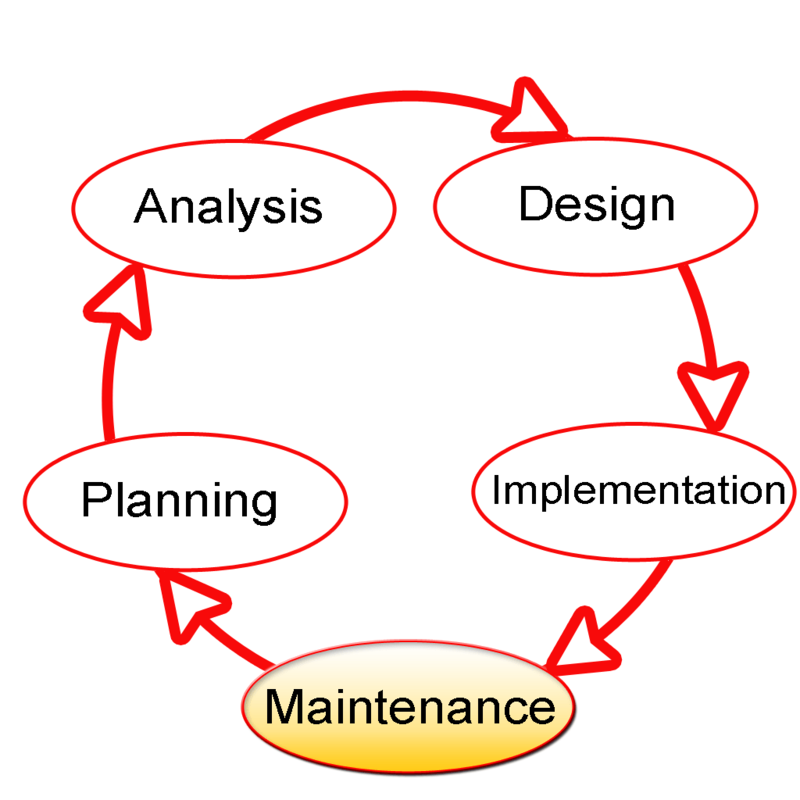 Farming, whether we want to accept it or not, moves in cycles. Big periods of high income are almost always followed by some big periods of low incomes or losses. I think that’s where we’re headed. Incomewise, I think we should all buckle our seatbelts for some rough times financially over the next three to five years. Grain prices are deflating – not inflating. High prices choke off world demand and it takes years to build it back. My prediction is that more than half of the farms in the U.S. will have negative income in 2014 and 2015. Farmland prices will soften – but not drop sharply. A 10 percent to 15 percent correction could easily occur as farmers quit buying and outside investor money steps in to help support the market. The majority of farmers have upgraded all of their equipment lines in the last five years. Many have enough equipment to farm two to three times what they are already farming. The problem, for example, is not the lack of software to schedule meetings. The problem is the meeting itself! It wastes an hour or two of everyone’s time when no decisions are made and a memo would have done the job. Farmers do the same thing. We buy bigger and bigger equipment so we can more efficiently do whatever we are doing without stopping to ask why we are doing it! The time will come when the man behind the curtain has a heart attack and the illusion fades. Cows can just eat grass. Corn is not an efficient source of ethanol. Chicken is the most expensive meat source. What happens to John Deere when farmers realize their equipment needs are more than covered and realized profits are better than write-offs? Farm Credit Services of America weighs into this issue by saying farmers should know their land costs per acre. And that’s an important point. A farmer who bought land in 1988 for $500/acre is sitting on a lot of equity right now compared to a farmer who bought in 2005 for $4,000/acre. The deck is stacked against new farmers carrying a lot of debt and a high per-acre land cost. I am particularly amused by the Farm Credit Services of America article because it seems so optomistic. Assume a 200-bushel-per-acre corn yield and a $4.50 per-bushel price. That’s $900 per acre in gross revenue. Estimate operating costs based on the benchmark Iowa State University variable and fixed-cost budgets. Assume a 3.5% capitalization rate, or return on investment in land. With these assumptions, we see a return to real estate of $320-$350 per acre. 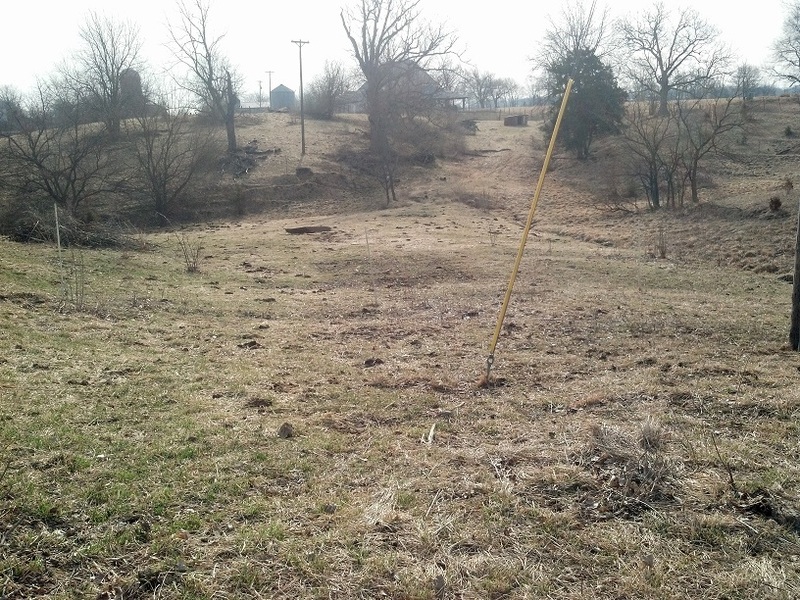 Applying the 3.5% capitalization rate, the sustainable market value of the land would be $9,000 per acre. We would lend up to 65% of that, or $5,900 per acre. The Federal Farm Loan Act enacted on July 17, 1916, answered agricultural producers’ demand for credit to finance land and farm machinery purchases which had increased in the late 19th and early 20th centuries as America’s agriculture became more commercialized to meet growing domestic and foreign food demand. Private lenders at the turn of the century proved increasingly inadequate to meet these needs for financing. Slowly, a consensus emerged in Congress that the Federal Government should develop facilities for providing farm mortgage credit to assist farmers and ranchers in purchasing land on affordable terms. Private lenders were afraid to risk their money so farmers asked the government to do something about it. Again, this was still at the peak of agricultural prosperity in our nation – the lauded Golden Age of Agriculture – and somehow farmers still needed more credit! So they asked the government to give them affordable terms and they got affordable terms…and got them good and hard (apologies to Mencken). You know, the kind of terms that displaced farmers in the depression. And again in the 1980’s. But it’s not that simple, it also led to copious amounts of additional legislation and the ridiculous notion of price parity! I don’t think we have reached a point of permanent agricultural prosperity. Interest rates are low. They have been low before. China is buying a lot of beans…but Russia used to buy a lot of wheat. Farmland prices are at an all-time high. Grain profits are near an all-time high. But we have seen highs before. We export a lot of soybeans but Brazil, in a normal year, exports more soy than we do. And what happens if John Deere equipment sales fall by 70%? Are farms at the 1999 price point of NASDAQ? I don’t know. I am looking to minimize my own farm’s debt load and am working to minimize the debt required by the next generation. Whatever price the government sets on money, I have to repay it. However attractive I think the land across the fence looks, I am liable. It’s on me. Not only do I need to keep my day job, I need to focus on lowering production costs and maximizing the utility of my farm as we work off our loans. At the very least I want to hold on to the farm for the next generation. Better yet, I should store up a war chest should I have the opportunity to accumulate resources at a discount. As should my neighbors. As should you! Sometimes things happen. Isn’t it better to survive the hard times (or even expand) than to be crushed? And hard times always come. …in view of the unparalleled prosperity agriculture had enjoyed during the Great War and two years after it, which left the farms and farmers poor in everything except money. It was very certain that on this farm far more had been taken out than had been put in. Chew on that for a minute before I finish up. We are at a point where prices for everything involved are higher than they have ever been. Farmers face a strong incentive to capitalize on the current opportunity by exporting everything from nutrients to livestock to scrap iron. I think it’s a good idea to build up a war chest of cash for later deployment. Also a war chest of soil organic matter. And a war chest of soil fertility. And a war chest of high-quality genetics. Plow those profits back into farm assets, not cool, new tractors! Cash for cash’s sake is not worth having. If you don’t have a plan for your resources you won’t hold on to them. And believe me, if you become comfortable with a high income ($4 corn) you will find a lower income to be incredibly uncomfortable ($2 corn). I think the Fed paper is far too optimistic. The government will certainly provide assistance to farmers but if profits have been at record highs for the last decade why should they need my money? Will they squander that prosperity buying new trucks, 4WD tractors or land at ridiculous prices? I don’t know. But maybe we should anticipate their coming failure. Maybe we should start planning auctions and to put those assets in the hands of capable entrepreneurs at reasonable prices. Pick up the broken pieces and move on. That sounds better than taking taxpayer money to pay for the mistakes of the once high-income few who didn’t plan for a rainy day. Maybe this advice is more for me than it is for you. But maybe you will appreciate it too. Don’t worry about land prices and don’t worry what the other guy is or isn’t doing. Get your own house in order. Be productive. Focus on keeping costs low and improving fertility. Minimize debt. Realize profits and take that money off the table cause hard times are coming. You’ll regret it if you don’t have a plan. Maybe not today. Maybe not tomorrow. But soon and for the rest of your life. I was thinking of Gene Autry as I titled this post. 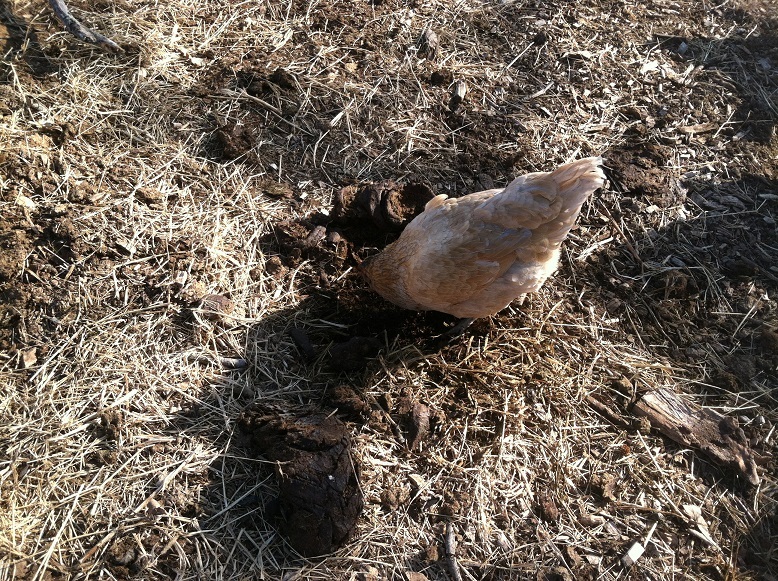 The problem is, chickens don’t get in the saddle…usually. We work pretty hard to keep the greenhouse pleasant smelling and warm and to provide the chickens with the things they need to thrive in the winter. 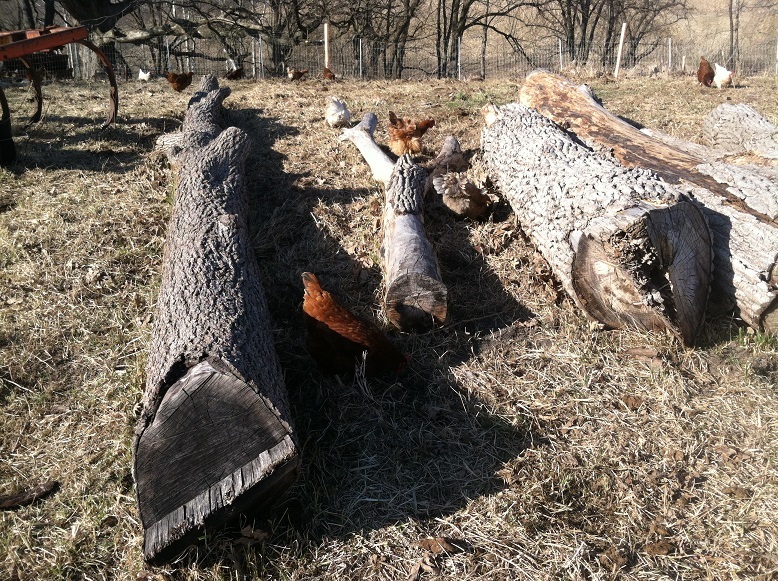 This comes in the form of scraps of meat from butchered hogs, fresh greens and anything else we can come up with to help our chickens thrive in semi-confinement (“semi” because they have complete access to the outdoors during the day). 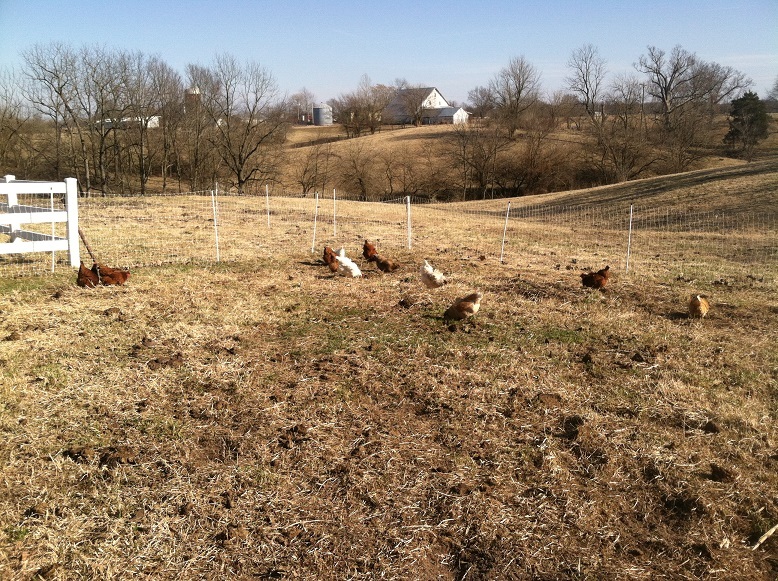 Today was the first day out on pasture and the chickens were clearly glad to be there. Obviously I don’t meet the chickens’ needs as well as the pasture does. The photo above was taken within 5 minutes of the chickens being allowed out. Late in the afternoon I took the rest of the pictures in this post. The exposure on the photos leaves something to be desired but they illustrate what was happening well. Hard at work. 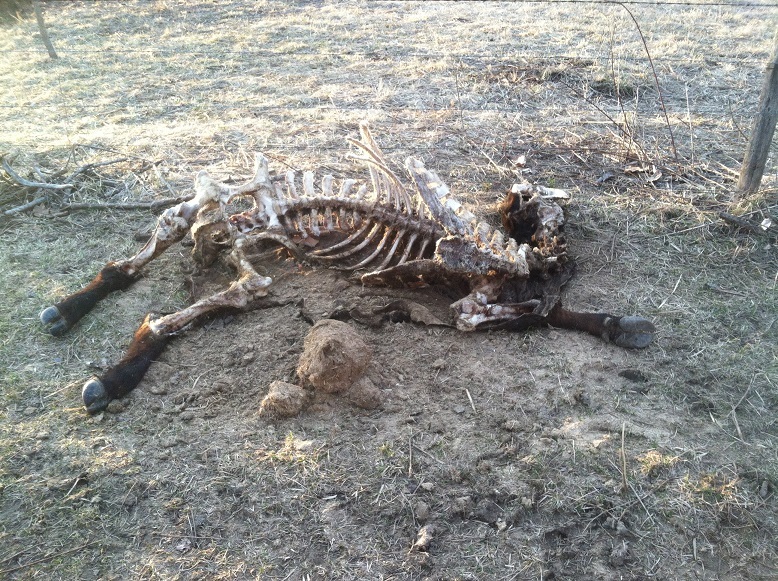 The pasture was torn up. 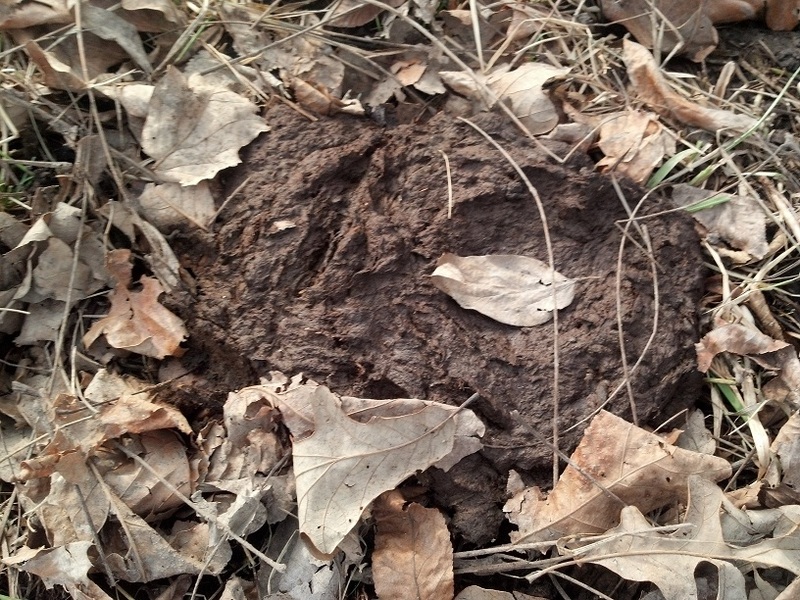 Some of the cow pies were too dry to scratch through but most of the cow pies were destroyed. 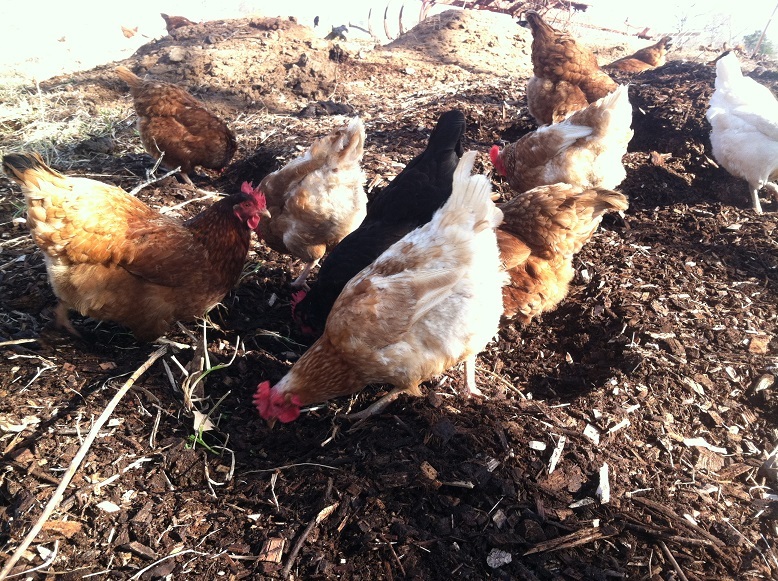 Everywhere I looked I saw chickens happy to be out working in the sunshine. The ducks too, though they tend to be cynical. They always laugh when they hear my voice. In about a week the egg yolks will become a vibrant orange color. We had a few pale yolks in January but have worked to keep enough nutritional variety in front of the chickens to give them some color. Now it will really start to happen. I’m excited! Chickens will be laying better eggs, they are adding fertility to my pastures and cutting down on the bug population already. I love March. I hope it’s going as well for you as it is for my birds. A reader asked what I meant yesterday when I said, “We are currently moving the cows daily and rolling about four days worth of grazing with them.” Those words were, apparently, not as clear as they should have been. With the help of our trusty Agricola game pieces (and a few matches) I will demonstrate what I meant. We’ll start on day 4 and roll through day 7 with the help of some toy cows. First, a quick look at what the blocks mean. And we’re ready to begin. The cows are in the corner of the perimeter fence in this illustration. They have been here for four days. 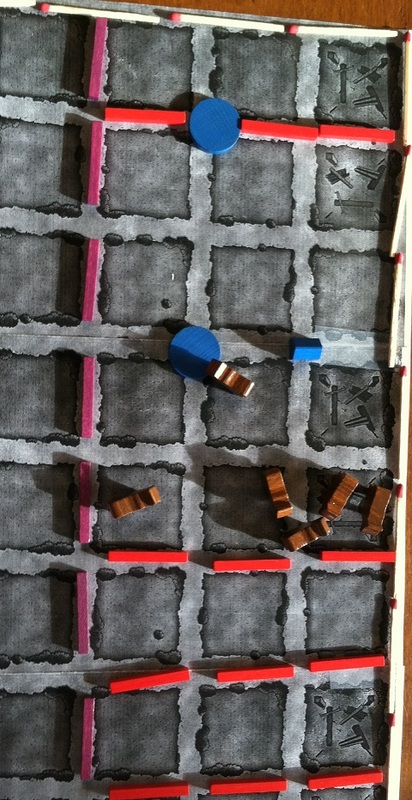 For illustration purposes, each day they get a new row of three blocks. There are two watering troughs that move with the cows and a free choice mineral feeder. 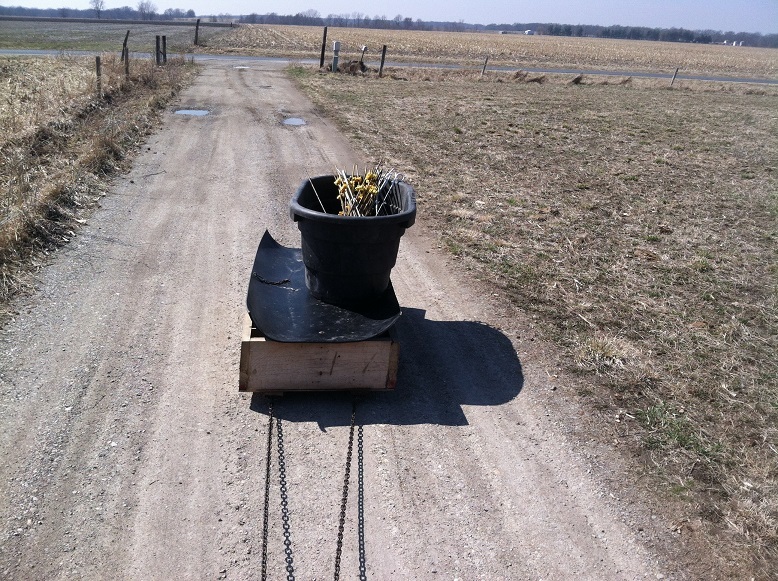 The lagging watering trough is allowed to go empty so we can simply carry it forward. The mineral feeder has to be dragged so we move it less frequently. I want to point out that the cows spend most of their time on the freshest strip of ground. They get up to eat then lay down to chew their cud. What happens when a cow stands up? It manures. Cows like to lay down on fresh ground. They don’t like to lay in manure. So the cows are always moving to the fresh ground, leaving a path of muddy, manure-covered, hoof-printed destruction in their wake. The fresh ground is like couch, cupboard and toilet all in one. So they always need more. So we move the cows. By day 5 we are beginning to fence out the first waterer. We want to let that go empty. There are times when it is entirely appropriate to dump 100 gallons of water on the pasture but not at the height of mud season. The next day we move the cows again. They are always where the action is. The action is right up by the new fence. 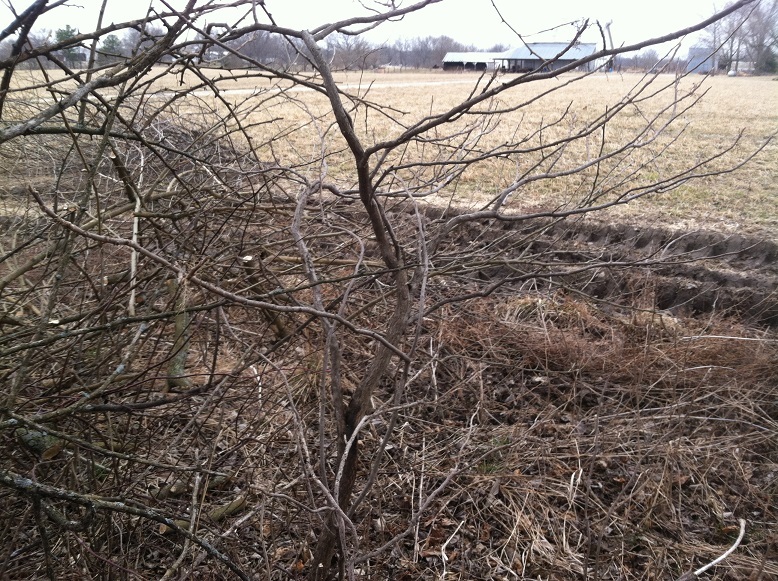 The back fence creeps forward one day at a time…rolling four days worth of ground forward. By day 4 new blades of grass are starting to peek their heads up. It would be detrimental to this year’s grass crop to allow the cattle to take a bite now. So we move them on. It’s day 7 and you’re getting the idea. We have had to move the mineral feeder forward. 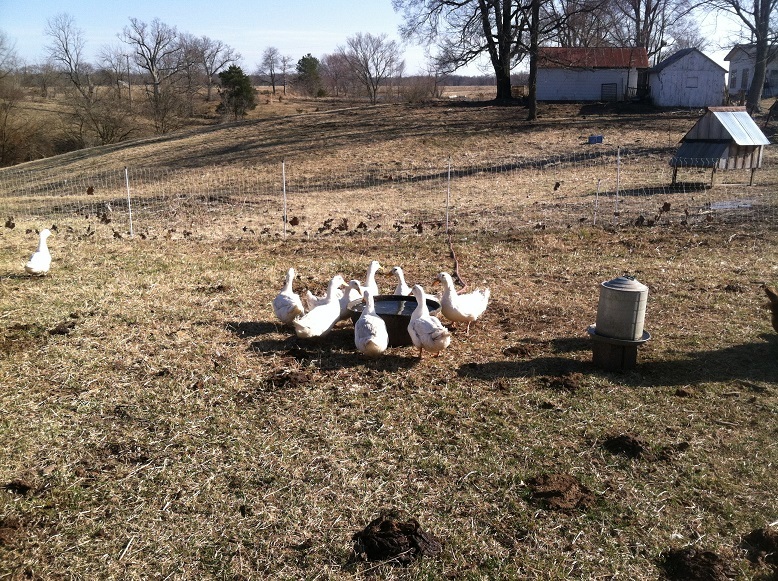 Sometimes we fence them out of the mineral feeder for a day just to make it easier for us. The cows are always eating, stomping, lounging and manuring on fresh ground. They really only go back to get to the water. But right now I think it is important to give them the extra room, even if they don’t use it. They may face a choice. They could stand in the wet mud on a rainy day or they could stand under a tree on a bit of high ground. I would like to give them the option. It is important for me to add that this is not our year-round strategy. It would work…ish. But it’s not what we do. This is this month’s grazing strategy. All winter there has been no back fence. We just allow the cows to move forward. Now that grass is growing again we are bringing the back fence along to protect tender young plants. When the grass starts to grow really fast we’ll start to move the cows really fast. Right now they may gain 1/16th of an acre/day. In April I anticipate giving our 11 cows 1/2 acre/day. The cows will just nibble the tips and select the choice morsels as they gear up for calving in May. When the grass growth slows the cows slow too. But that’s a subject for another blog post…or book. Just a couple of other notes on the ground we are currently grazing. This ground was planned to be this year’s sacrifice area. 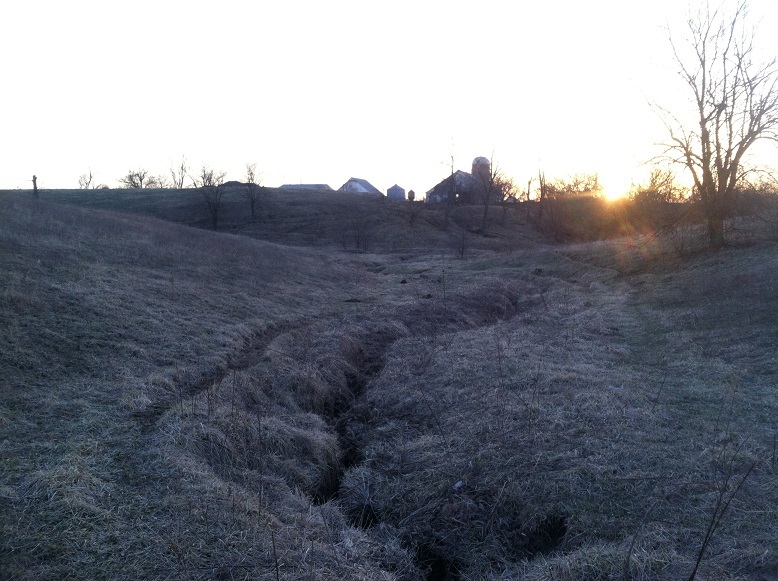 The whole farm is a muddy mess, except the few South-facing slopes. 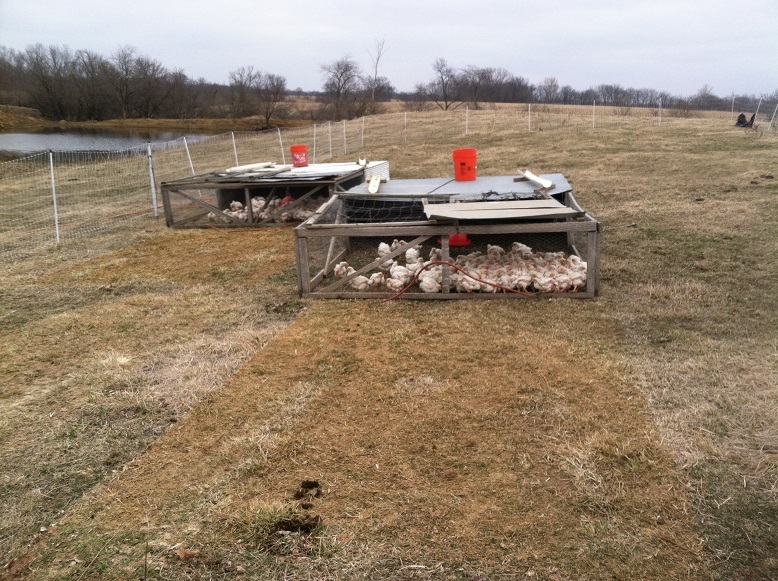 To protect the rest of the farm we stockpiled fescue everywhere we could and planned to be on the flat bottom during the thaw. Next year we’ll find a different flat spot to graze in March. If it’s too wet we’ll just take the cows to the barn and feed them there but that creates an awful lot of work for us feeding, bedding and later composting and hauling the manure. Finally, because of the amount of disturbance the cows are creating right now (which really isn’t too bad) we will allow this ground to have an extended recovery period. We will finish grazing this by April 1 and we may not return until June. Maybe even July. 60 days is a long time in the spring, keeping in mind what I said about offering the cattle 1/2 acre grazing areas while the grass is growing quickly. 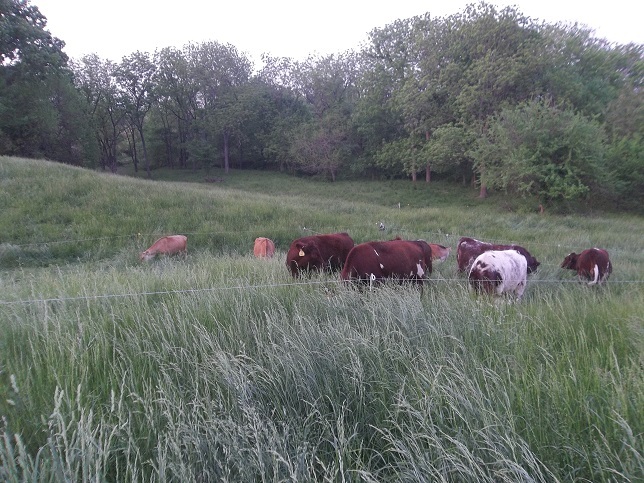 The pastures are finally greening up and we still have a little stockpiled grass for the cows. Whew! Let’s follow the cows through the pasture over the winter and see what they did. 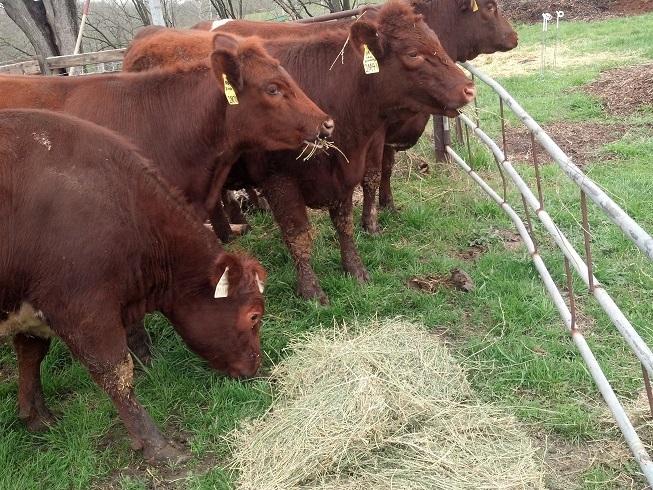 We bunched the cows up densely all winter and supplemented them with 6-12 pounds of hay each day from November first. Basically, we offered a single square bale of alfalfa in the morning and a single bale of grass hay in the evening most days, but just the grass hay when the weather was nicer. 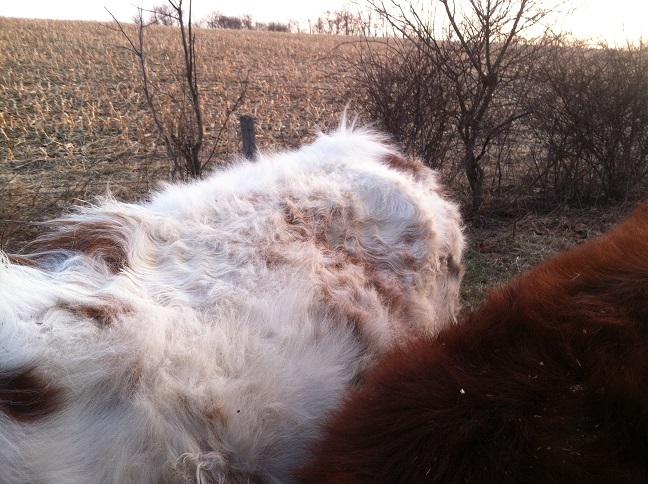 Otherwise, the cows were expected to push the snow aside and eat what they could find. It worked out great. The cows came through winter in great condition. This was suggested to me by David Hall who said he tries to feed 30 days worth of hay to his cattle, spread over 6 months. I didn’t do quite as well as that but my pastures are getting better and it won’t be long. But this isn’t a post about cows. This is a post about pasture. You have to know the story so you will understand what we did. We put down a lot of manure. Like a lot. Those manure pats have been frozen for 3 months but you can see the density. By taking the hay to the cows and offering the cows fresh ground at regular intervals we have an even manure distribution. I moved the hay so I don’t have to move the manure. You down? Turn to the right and go up the hill and we get to the remains of a big patch of turnips. The manure coverage is not as dense here. We had a spot of wet, cold, windy weather so the cows tended to shelter and concentrate their manure under the trees. But still, it isn’t bad. Notice the little bits of green grass coming up here and there. More on that as we go. Further up the hill and a bit to the west the manure coverage is better. Here the forage was stronger. Still a few turnips (which make the cows loose) but plenty to eat and a good great amount of litter covering the soil. In fact, that’s kind of a uniform thing across all of our pastures. 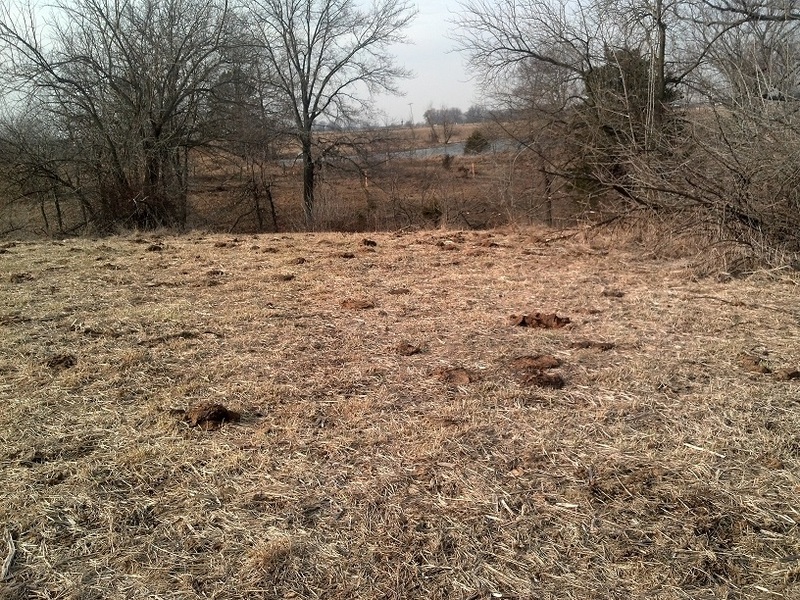 We have a thick layer of litter over all of our pastures. Here it is particularly thick. Much of it is stems from the goldenrod stand that dominated the landscape until July but the thick grass that grew here is still protecting our soil. A few pictures from now the real value of the litter shows itself. In the picture above, I have crossed the creek and I’m looking back toward where I stood in the previous picture. I was standing up to the left of that power pole on top of the hill. Notice how green the South-facing slope is already. Also notice the manure density and the soil litter. Pay no attention to the scrubby trees, the brush pile or the small pile of metal I haven’t finished hauling out. 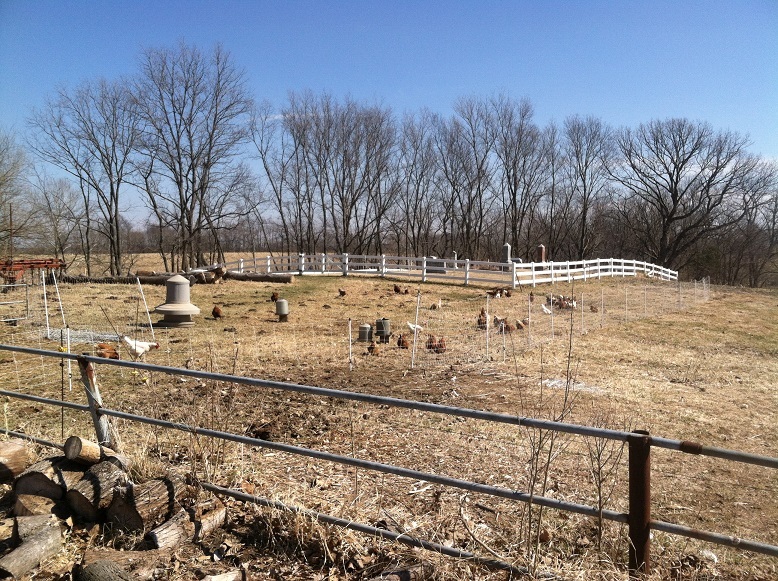 the cemetery hill is several weeks ahead of the surrounding farms in terms of grass growth. That’s all well and good but what are the cows actually eating? I mean grass hasn’t grown here for nearly 6 months. They are eating whatever grew 6 months ago. They trample dried stalks of tall weeds, crop close to thorny trees and even nibble at tree limbs. Fescue is the main portion of their diet but they eat leaves and whatever else they can find. With the recent freeze/thaw cycles we have about 2″ of mud on top of several inches of frozen ground so the cows are making a bit of a mess of things. The picture above is what things look like around the watering troughs. That’s some pretty serious cow impact and will require an extended recovery time. But that’s part of the plan. 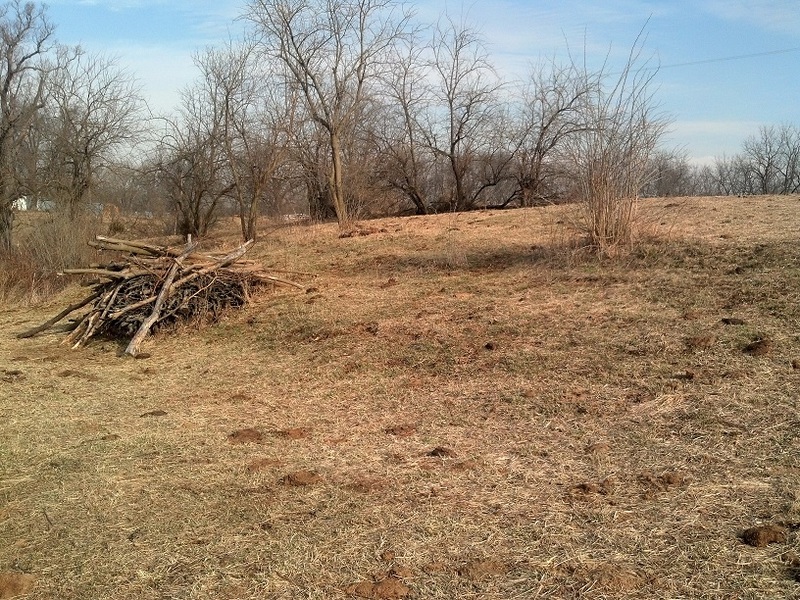 I have saved this bottom ground as a sacrifice area to preserve the rest of the pasture for later grazing. This will recover and, I believe, be better than ever. We just have to give it time. If you are concerned that I’m pushing the cows too hard I want to say that my cows are clean, in excellent condition and their manure is perfect. My concern is with the land. Maybe I’m pushing that too hard. I don’t think I am but I don’t want to find out I’m wrong. We are currently moving the cows daily and rolling about four days worth of grazing with them. These are currently larger grazing areas than they would have in the late summer or even than they got in December and January but the forage quality is decreased and it’s pretty muddy out there. We also try to give them room to stretch their legs. Rolling four days worth of grazing forward seems to work well for us. This picture should give the reader an idea of how much space we give 11 cows. 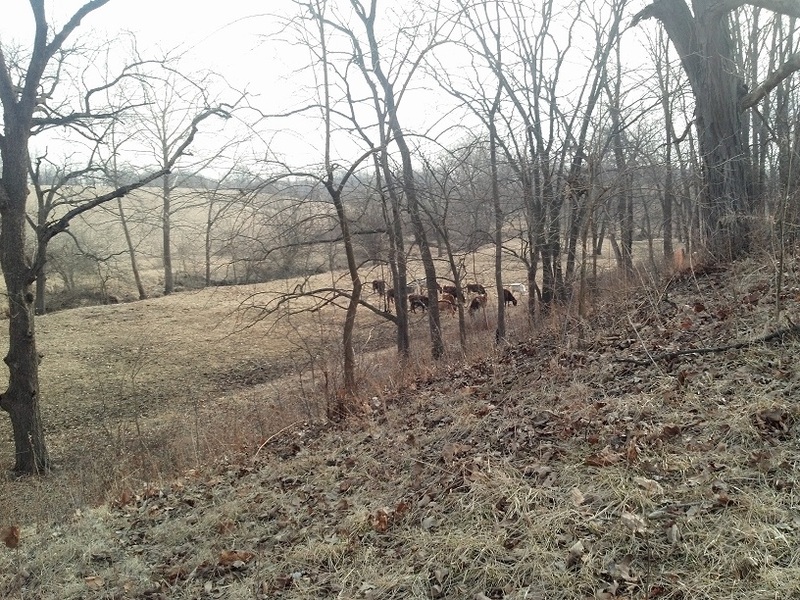 There is a line below the cows showing yesterday’s grazing line…that’s where the fence was. The white cow at the top right is almost up against today’s fence. I haven’t moved the water troughs in the picture above but generally, one 100 gallon watering trough stays at the new front fence line, a second trough lags behind. As the second is emptied I move it ahead of the first. We put a cup of apple cider vinegar in each as we fill them and the cows seem to appreciate it. We also drag their mineral box along every few days. We have enough standing grass in the bottom to get us to April 1. At that point we plan to graze along the Eastern edge of the South pond. Then we’ll move to the draw East of the big alfalfa field. Dad doesn’t think that has been grazed in years. Decades possibly. That gives us time to establish our grasses before starting to graze in earnest. I suspect we’ll spend most of April grazing 1/2 acre per day with our 11 cows. A portion of our farm will remain ungrazed all year. A portion will be set aside for late summer and a portion will be used in the spring then rested later in the year. More detail to come. For now it is enough to celebrate that it is March and we have more grass than we can eat and hay left in the barn. It worked!